Magnesium in an important mineral that is vital for brain, nervous system and muscle function. Unfortunately, it is also one of the more commonly deficient minerals in the Australian population. Magnesium is great for muscle cramps, tightness and soreness and there is no better way to deliver the magnesium to the muscles than via a topical application because it is quickly absorbed. 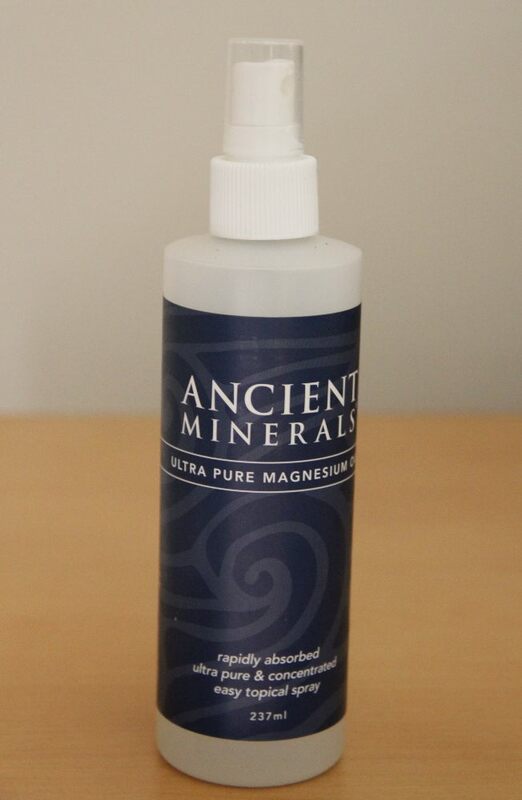 I usually take magnesium powder orally but on a visit to a massage therapist, she applied this Magnesium oil to my very tense shoulders at the end of the massage. I was having some problems in that area so I decided to purchase a bottle for home use. This magnesium mineral oil comes in a spray bottle and I apply it to areas of muscle tightness and sometimes to my legs etc after a gym workout if I over did it. They say to wipe it off after 20mins but I just usually leave it on. I apply after a shower and massage it in. It does sting a little, more like a tingle, when you first start using it but this diminishes quickly. They say that it will tingle if you are deficient. Overall I think this product is a good choice if you need to increase your magnesium levels and if you suffer from muscle tightness and cramps and shoulder tension etc. Yo can buy online from www.organicsaustraliaonline.com.au $35.69. Water, Genuine Zechstein, magnesium chloride and natural trace minerals. I am so happy that I found this portable water alkaliser from Alkapod. For the past few years I have read a lot on the benefits of drinking alkaline water to help alkalise the body. The benefits include reducing inflammation in the body and slowing down the ageing process. However, as some of you may already know, the average water alkalinising machine can cost $2000, so I have never been able to get the benefit of alkaline water until now. This great stainless steel bottle can alkanise and ionise my pre-filtered water in just 5 minutes. And it cost me less than $100! This bottle also allows me to take it anywhere with me and I can fill it up anywhere and anytime. It does not filter the water so I add filtered water but you can also use tap or rainwater when you are out and about. The Alkapod Water Alkaliser uses 13 energising and purifying minerals in its filter and is so easy to use. To watch a demonstration video of how the Alkapod works click here. If you are looking for an economical way to get started on alkalising your bdoy, I highly recommend the Alkapod. 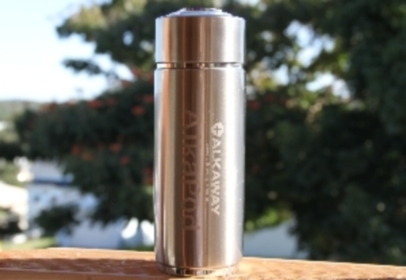 Purchase online from www.alkaway.com.au for $95.